Q. Sarah, I was hoping you could comment on news out of Great Britain today. Theresa May saying that the British government believes that Russia was behind the attempted murder and poisoning of a former spy with a nerve agent that has a Russian manufacturer. Is that the assessment of the United States government, number one? Does the United States government plan on designating Russia as — like it did North Korea, earlier this year, regarding the murder of Kim Jong-un’s half-brother — of Russia using chemical weapons? And, three, will there be any repercussions for Russia from the United States, in coordination with its British allies? MS. SANDERS: Look, we’ve been monitoring the incident closely, take it very seriously. The use of a highly lethal nerve agent against UK citizens on UK soil is an outrage. The attack was reckless, indiscriminate, and irresponsible. We offer the fullest condemnation, and we extend our sympathy to the victims and their families, and our support to the UK government. We stand by our closest ally and the special relationship that we have. Q. So you’re not saying that Russia was behind this act? MS. SANDERS: Right now, we are standing with our UK ally. I think they’re still working through even some of the details of that. And we’re going to continue to work with the UK, and we certainly stand with them throughout this process. MS. SANDERS: Like I just said, Zeke, we stand with our ally. And we certainly fully support them, and are ready if we can be of any assistance to them. Whoever it might be? Round up all the 400-pound guys! 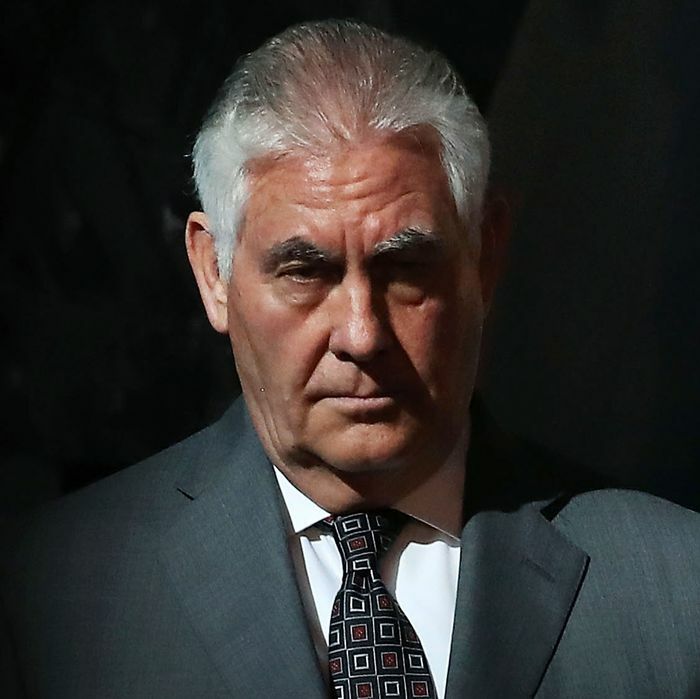 The fact Tillerson was fired almost immediately after contradicting the official White House line on the murder of a Russian double agent might, or might not, be a coincidence. But what possible innocent explanation can be provided for the administration’s refusal to concede Russian involvement when our closest ally, on whose territory the murder took place, is perfectly clear about who committed it?